Comment: the letter on the right from E.H. Felberg exaggerates peace under Moslem rule and displays ignorance of the nature of Roman Catholicism, for it was their pogroms against Jews which were extensive, just as they have carried out deliberate acts of torture and murder of any Christian group who refused to bow to Rome, the 'whore of Babylon,' culminating in the horror of the Spanish Inquisition, as we detail in the article below! FOR six years, the Commission On British Moslems And Islamophobia has worked to prevent discrimination against British citizens on the grounds of religion. After the despicable terrorist attacks on the U.S., we have been encouraged by the careful language used by Tony Blair and his ministers in drawing a firm distinction between Islam itself and those who proclaim their faith but violate its most sacred texts by showing no respect for the sanctity of human life. We welcome the clarity with which most newspaper editorials have reflected this distinction. This is a positive cultural shift, vital if our diverse society is to remain tolerant and open. There is, however, growing fear among Moslem communities after a series of attacks on individuals and places of worship. It will take a huge effort of national will to resist the discriminatory logic of those who conduct and condone such violence. All people need to take care with language, avoiding, for example, loaded words such as 'crusade', 'Islamic terrorist' and 'civilised/uncivilised world'. Similar attacks have also occurred in the U.S., where the government has responded by expressing willingness to legislate against discrimination based on religious affiliation. Our commission has been arguing for such legislation in Britain. Individuals who have been involved in the work of the Commission include Maqsood Ahmad, Prof Akbar Ahmed, Dr Zaki Badawi, Dr Philip Lewis, Solma Ahmed, Yousif AlKhoei, Dr Kate Gavron, Prof Ian Hargreaves, Rabbi Julia Neuberger, Trevor Phillips, Usha Prashar, Khaiida Khan, Shahid Mailk, Robin Richardson, Imam Abduljalil Sajid, Saba Risaiuddin, Imam Abduljalil Sajid, Rev John Webber, Pranlal Sheth, Selina Ullah and TalhaWadee. As commissioners from a wide range of religious and secular backgrounds, we urge the Prime Minister to lead the development of legislation outlawing religious discrimination and incitement to religious hatred. This is an essential component to underpin the solidarity needed to resist the evil of terrorism. "Muslims should not assimilate into American society. If you choose to live here, you have a responsibility to deliver the message of Islam … Islam isn't in America to be equal to any other faith, but to become dominant. The Koran should be the highest authority in America, and Islam the only accepted religion on earth … Everything we need to know is in the Koran." Does this sound like an agenda from a religion seeking to dwell peacefully with others? History says 'Yes' - but only until they are in power - and then they force their religion on you! This kind of attack is nothing new in Pakistan, and 13 churches, a school, and hundreds of Christian homes were ransacked in southern Punjab four years ago by militant Moslems. It is not the reaction of the Western Alliances to the September 11th atrocity that has triggered an unusual bout of Islamic violence, but merely a continuation of Muhammad's example! We would be interested to hear of the protests that Dr Stone and his Commission sent to the Pakistan leaders, and will post them here if we receive a reply to our query. The example was set by 'the prophet'! Muhammad fought wars to force conversion of all Arabs to his new religion under threat of violent death and Islam's millions of converts were won with the sword. That same bloody sword keeps Muslims imprisoned today. The town of Yathrib (later renamed Medina, "home of the Prophet"), in which Muhammad (AD 570-632) was born (and where he was buried), had been founded by Jews. He killed every male Jew and sold the women and children into slavery. In Saudi Arabia, to this day, no Jew is allowed. How about campaigning to stop this, Dr Stone? Muhammad planned 65 campaigns of plunder and death against Arabs and personally led 27 of them, forcing all of Arabia to submit to Islam in the name of Allah. Islam's prophet commanded, "He who relinquishes his faith, kill him!" That penalty is still the rule in Islam (though not always enforced). Executions are announced on Saudi radio and TV in advance and carried out before cheering crowds in Riyadh's "chop-chop" square. In October 1993, for example, a father and son were publicly beheaded for having believed in Jesus Christ. No non-Muslim place of worship may be built and, while it is technically legal to have a prayer meeting or Bible study in the privacy of one's home, participants can and are jailed or deported merely for holding such meetings. Such is the "freedom" and "peace" Muslims intend to force upon the entire world. Yet Muslim nations who, in the name of Allah, have supported terrorism now claim to be against it as America's coalition partners. The hypocrisy is overwhelming. Only one of Christ's disciples, Peter, swung a sword and sliced off an ear of the high priests servant. Christ rebuked him, healed the man's ear and declared that His kingdom is not of this world and that His servants do not fight in the cause of the gospel (John 18:36). As shown above, Popes and crusaders proved they were not Christ's servants and not of His kingdom by fighting wars to establish a vast kingdom very much of this world, killing Jews, Muslims and true Christians in the process. Upon Muhammad's death, Arabians abandoned Islam en masse. Abu Bak'r, Muhammad's successor, and his fierce jihad warriors, killed tens of thousands of Arabs, forcing them back into the "peace" of Islam. But Christ's disciples, shunning the sword, preached peace with God through faith in Christ and His sacrifice for sin, and died testifying to His miracles and resurrection as facts they had witnessed and could not deny. Clearly no one is fool enough to die for what he knows to be a lie. Islam's "martyrs" kill themselves while spreading terror through murdering innocent women and children. Suicide bombers are heroes whose images look down on admiring throngs throughout the Muslim world. Incredibly, just hours before the attack on America on September 11, Al-Hayat-Al-Jadida, Arafat's PLO-controlled newspaper, wrote, "The suicide bombers of today are the noble successors of the Lebanese suicide bombers who taught the U.S. Marines a tough lesson....These suicide bombers are the salt of the earth ...the most honorable people among us." And now Arafat claims to support the war against terrorism?! Just as the Allies turned a blind eye and deaf ear to the Nazi holocaust until it was too late, so we have forsaken today's victims of the holocaust which Muslims have perpetrated for nearly 1400 years ever since Muhammad initiated these atrocities. Had we acted in defence of the victims in Indonesia, Iran, Nigeria, Pakistan, Saudi Arabia, Sudan and elsewhere, we might have pre-empted the September 11 attacks. Will our response continue to be selfishly selective, or will we diligently pursue Islamic terrorism until we have stopped it everywhere? Peace through Islam? The Muslim world has more unrest, uprisings, riots and assassinations than all the rest of the world together. Muslims betray and kill not only non-Muslims but fellow believers in bloody coups and brutal civil wars (the current fighting in Algeria has taken thousands of lives and there is much unreported fighting in Pakistan between Sunni and Shia Muslim factions). In Nigeria and the Philippines, as in Indonesia, mobs screaming "Allahu Akbar!" (Allah is great!) attack Christians, killing and maiming thousands while burning down hundreds of churches and homes. This is happening today. In the Sudan the Muslims from the north have brutalized and slaughtered millions of non-Muslims in the south and sold thousands into slavery. There is an active slave trade today in many Muslim countries. Not only the terrorists who attacked America on September 11th, but the vast majority of terrorists around the world are Muslims. Lest anyone suspect that fact to be more than coincidence, there is a rush to insist that Islam is "peace", but hypocritical whitewashers, such as Dr Stone, cannot offer one example of Islam bringing peace into this world. There are hundreds of examples of wars and violence caused by this "peaceful" religion which conquers in Hitlerian fashion and then rules by fear and intimidation as has been proved in all of these named nations! Islam points the finger at Israel - yet fails to see the THREE fingers pointing back at her! Israel is blamed for the violence in the Middle East. Yet the Arab world was full of hatred and violence long before modern Israel came to birth. Former UN Secretary General Boutros Boutros-Ghali admitted that in three decades "more than 30 conflicts between Arab states have erupted." [Foreign Affairs, Spring 1982; cited in Ramon Bennett, Philistine (Jerusalem: Arm of Salvation, 1995), 27.] In the first 25 years following Israel's independence, there were "30 successful revolutions in the Arab world and at least 50 unsuccessful ones [and] 22 heads of state and prime ministers were murdered." [John Laffin, The Arab Mind (London: Cassell, 1975), 97-98; cited in Philistine, 28.] None of this violence among Muslims could be blamed upon the "existence of Israel." Muslims often make claims of following the Qur'an's instructions concerning Christians and Jews ('the people of the book'), yet Islam not only persecutes Christ's people but also firmly rejects Christ, the One whom God gave to the world to bring peace. The Qur'an calls Jesus Isa, probably from Muhammad hearing Jews contemptuously refer to Him as Esau. Islam's central teachings in the Qur'an and hadith (tradition of equal authority to the Qur'an) directly oppose Christ and His salvation. Islamic scholars all insist that Isa is not the Son of God and was not crucified for our sins. There is general consent that Allah put a likeness of Isa upon one of His disciples, probably Judas, who died in Isa's place--which is an utter insult to Christians. Taken alive to heaven (in one version), Isa is covered with feathers and flies with angels around Allah's throne until the time he returns to marry, have children and die a natural death! 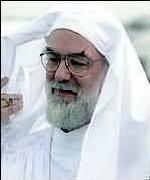 We notice that the Daily Mail apologised to Islam in the most pathetic, grovelling fashion (no doubt for cosmetic political reasons as well as fear of an Islamic terrorist attack on their offices) when they mistakenly included an image of 'the prophet' in one of Dr John Casey's inaccurate renditions, yet they print dozens of defamatory articles and letters which attack Christianity and Christ! What hypocrisy! Islam insists that Jesus (Isa) is not divine and certainly not the Son of Allah (that Allah could have a son is denied sixteen times in the Qur'an). Though in the Qur'an he was born of a virgin, performed miracles including raising the dead (Surah 3:45-49), was sinless and even the word of God, Isa is clearly not the Jesus Christ of the Bible. And yet some Christians imagine they can win Muslims to Christ by presenting Islam's Isa! Islam is the only religion that denies Christ's deity as well as His Sonship, and thus blasphemes the Christian God, while their Commission in Britain, led by Dr Stone, wants to 'urge the Prime Minister to lead the development of legislation outlawing religious discrimination and incitement to religious hatred.' If this attitude was reversed this Commission would be whining about Britons ('Christians' to the Arab mind) demonstrating 'religious discrimination and incitement to religious hatred' and, in Islamic countries, you would be attacked and killed (read the article on Muhammed and personal hygiene!). But there is no reasoning in Islam, only a blind submission under threat of death which breeds the fanaticism of raging mobs out of control wreaking mayhem almost daily in Muslim areas around the world. Who can forget the mobs in Pakistan chanting their support of Osama bin Laden, or the school children in Gaza chanting death to Israel? Peace necessarily involves freedom, but not one Muslim country offers the freedoms we hold dear in the West (freedom of the press, to vote, of religion, etc.) because Islam cannot survive where men are free to choose. It is no accident that Israel is the only democracy in the Middle East. Paul said, "we persuade men" (2 Cor 5:11), not with a sword, but with irrefutable evidence. Paul "confounded the Jews which dwelt at Damascus, proving that this is very Christ" (Acts 9:22). Apollos "mightily convinced the Jews...publicly proving by the scriptures that Jesus was Christ" (Acts 18:28). Lacking such proof, Islam resorts to violence. By employing intimidation and threats, Muslims prove that Islam cannot persuade with love and truth and dare not engage in serious discussion. That fact is the best reason for them to abandon terror and force. That the death penalty is required to keep Muslims in the fold proves Islam's inability to win hearts and minds. Muslims need to recognize that Islam is a thug which crushes people into submission by force, but has no valid claim upon the hearts, minds and souls of its followers or would-be converts. We pray that, in the wake of the September 11th attacks, the world recognizes the obvious dishonesty of Islamic countries suddenly claiming they are against terrorism, whereas they previously supported and praised it! We pray that millions of Muslims will have their minds and hearts opened to the gospel of Jesus Christ and that Islamic countries will one day allow their fear-imprisoned citizens freedom of conscience and of faith, and that many will receive the freedom that is in Christ. The liberation of Afghanistan will demonstrate that the 'Christianity' that Islam claims to be behind the action against bin Laden will not follow up by enslaving the country into accepting Christ or accepting death (as the corrupt Roman Catholic cult has done for most of its history, as shown above), but that 'Islam is a religion in which Allah demands you send your son to die for him; Christianity is the faith in which God sent HIS SON to die for YOU.' [John Ashcroft, US Attorney General] Alleluiah! What a Saviour!